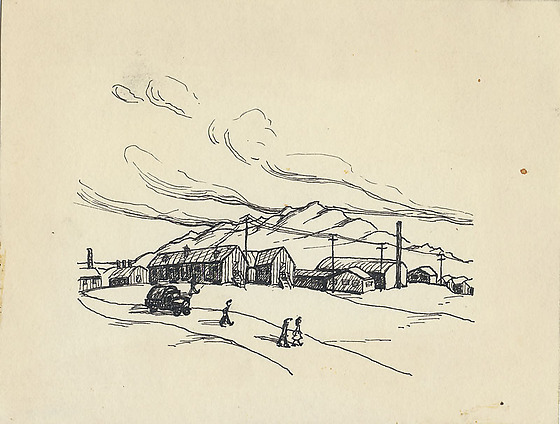 1 drawing : ink ; 4 x 5.125 in. 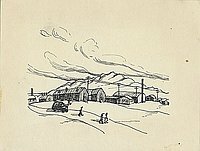 Fine black pen landscape drawing of barracks and people at Heart Mountain camp during World War II. Three people walk along road in foreground, followed by a covered truck. Midground rows of barracks and mess hall beneath power lines. Heart Mountain in distance with wispy clouds streaming horizontally.